Theres a serious lack of content but Mario still has some swagger on the court. 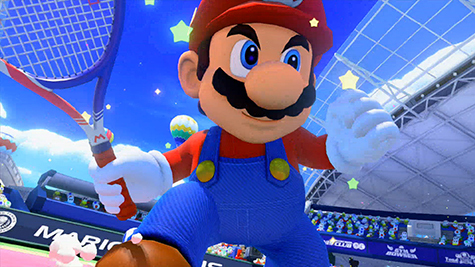 Check out Kidzworlds review of Mario Tennis: Ultra Smash for Wii U. 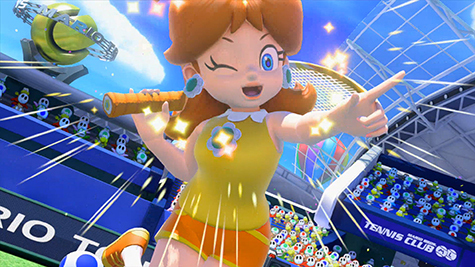 Okay Mario Tennis fans, let's get something out of the way. There is a serious lack of content in Mario Tennis: Ultra Smash for Wii U, and it's apparent the moment the main menu pops up. With only a handful of similar modes and no career mode of any kind, single player fans aren't given much incentive to keep playing. Choose between Classic Tennis, Knockout Challenge, Mega Ball Rally or Mega Battle (it's just like classic tennis with Mega Mushrooms added). When playing solo, you're basically just grinding individual matches out, earning coins to unlock additional courts and characters. It gets old pretty quickly. Especially with the limited offering of characters here, characters which don't bring unique attributes to the court either. 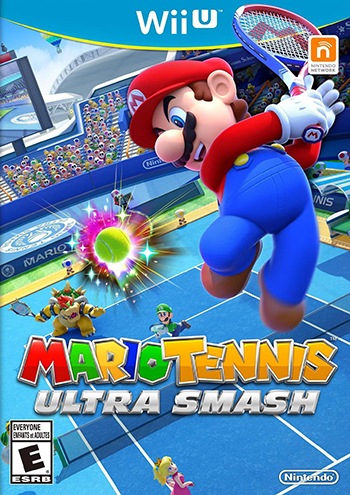 It's a shame really because the actual act of playing tennis in Ultra Smash is quite a lot of fun, with just enough available strategy at the players hands to keep matches exciting. I just wish I had more of a reason to keep playing. Perhaps if I was earning new outfits that added additional perks to my character, like an increase in speed at the cost of power, the lack of a career mode may not sting so much. It sure does look pretty though, doesn't it? It's no Virtua Tennis, but on the court gameplay is responsive and actually a lot of fun. With lob shots, slices, top spins, drop shots and flat shots at my disposal I was able to take down my competitors in style. Tennis is a little like psychological warfare. You're always trying to make your opponent second guess which shot is coming next. And those opportunities are available in Ultra Smash. Take for example the "Chance Shot". These icons pop up on the court from time to time and if stood on while striking the ball - and hitting the corresponding button - you'll unleash a super version of that shot. But now you have an extra layer to play with too... are you going to take advantage of the super shot (which your opponent can read) or will you only make it appear as if you are, unleashing the another type of shot instead. And once I realized I could return an Ultra Smash with a good dive across the court, matches escalated into a much more intense back and forth battle. Court variety is decent enough, with 8 different surface types available. Play on grass for faster ball speeds, hard courts for a steady bounce or even a mushroom surface that sounds balls bouncing high. Feeling even crazier? 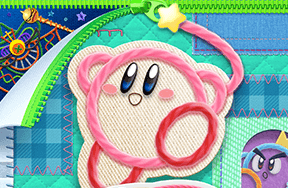 Use the un-lockable morph course, which changes surface types on the fly with each successful Ultra Smash. The new mega mushrooms that gets thrown onto the court now and then during Mega Battles. While fun to see at first, really adds nothing positive to the gameplay. Ultimately, I ended up ignoring this mode after a while and stuck to the classic tennis mode. 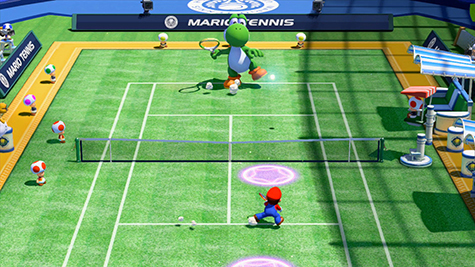 Mario Tennis: Ultra Smash, like many competitive games, casual or simulation, shines when playing with friends. 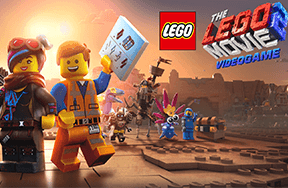 The gameplay is fun and matches between two seasoned players can get intense but a severe lack of incentive for the single player, with bare bone modes and options keeps it from earning a championship trophy. 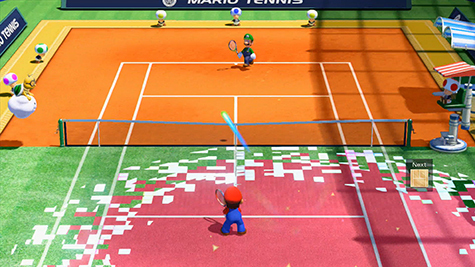 Are you going to ask for Mario Tennis: Ultra Smash this holiday? Let us know in the comments!